Corporate generosity is being tested by the string of natural disasters that have hit North America in the past month. But companies are stepping up to the plate. On Monday, the U.S. Chamber of Commerce released its initial tally of companies that have donated to Hurricane Maria relief. So far, four companies -- including liquor giant Diageo (DEO) and biotech company Amgen (AMGN) -- have given a collective $8.1 million, according to the list. Some companies that have just announced their donations haven't been factored in yet. Starbucks (SBUX), which has 500 employees on the island, will give $250,000 to recovery and rebuilding in Puerto Rico. Verizon (VZ) is donating $1 million. Google (GOOG) has agreed to match the $250,000 employees have raised for a total of $500,000. Lowe's (LOW) has pledged aid to cover both Maria and the recent earthquakes in Mexico. The company is donating $500,000 to assist with relief efforts linked to those disasters. 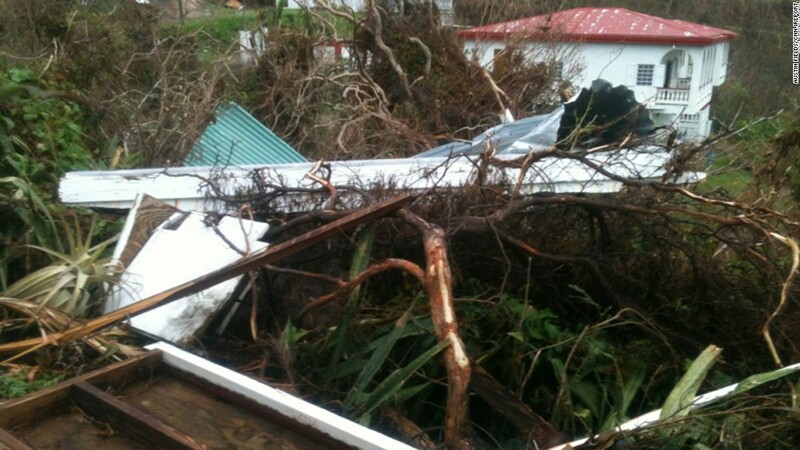 Other companies are providing much-needed services to the island. AT&T (T) and T-Mobile (TMUS) are waiving cell phone charges in affected areas, while JetBlue (JBLU) is flying in emergency supplies on one of its planes. Puerto Rico continues to face dire circumstances on the ground, days after the Category 4 storm hit. Almost the entire U.S. territory remains without power. A few firms say past donations sent to cover damage from Hurricanes Harvey and Irma will be used to rebuild Puerto Rico, too. Companies have already given $224.9 million to cover fallout from Harvey and Irma, according to the Chamber of Commerce. "Kaiser Permanente donated $500,000 to the American Red Cross for Hurricane Harvey relief and recover efforts, which is now being used to help not just those in Houston but those affected by Hurricane Harvey, Maria, and Irma," a spokeswoman said on Monday. Walmart said it's committed $10 million to overall hurricane relief in 2017, in addition to raising $5 million from customers. That money will go to Harvey, Irma and Maria recovery, the company said.